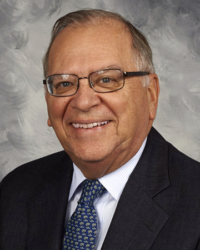 Frank Pados has 45+ years of experience investing in a variety of economic conditions and changing financial markets, and has a strong knowledge of a broad variety of industries including consumer goods, retail, communications, service providers and basic manufacturing. Prior to joining Dubin Clark in 2003, Frank was an EVP and Head of Private Equity at Desai Capital Management, Inc. in New York, where he was responsible for private equity investments of funds managed by the firm. New investments during this time exceeded $500 million and the portfolio exceeded $1 billion. Previously, Frank served as Managing Director and Co-Founding Partner at TCW Capital in New York, where he successfully raised, invested, and managed three private institutional funds totaling $750 million. While at TCW Frank worked with Tom Caracciolo before taking the position at Desai. Frank also served as SVP and Manager of Securities Division of Teachers Insurance and Annuity in New York, where he was responsible for a $7.5 billion private placement portfolio. Frank serves on the board of directors of ABCOM Technology Group, Action Target, BBJ Rentals, InProduction, Marquee Event Group, Reel Power International, Restoration Parts Unlimited, and United States Seating Company. Frank received a B.A. in Economics from Boston College and an M.B.A. in Finance from the University of Pennsylvania Wharton Graduate School of Business, after which he served as a Lieutenant in the U.S. Army. Frank enjoys soccer, college sports and golf.